Some time during my time living in Washington, D.C., roughly, May-June 2016, I was coming off of a few months without working on a game in my spare time for the first time in almost a decade. And then, one afternoon, I wanted to make a game with mechs. I called it MECHOTRON — because it was basically Robotron, but with neat mechs — and it was going to be a one-two week project (I’d complete it, it would just be simple; I did this shortly after I moved to Austin in 2009). 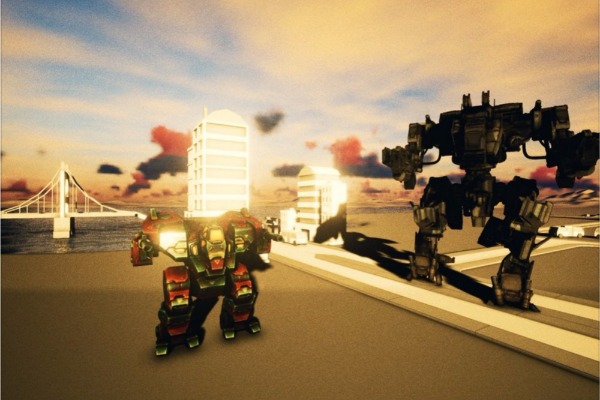 The next day, I was already attached to these mechs that I found on the Unity Asset Store. And the assets all came as individual parts that you could snap on to other parts to form the mech you wanted. And that was really all it took. I wanted to take over 16 years of game development experience (ten of which have been professional, though I did author a book when I was 17, and co-authored a few others at 18, so I think that counts as professional?) and make the kind of game that I felt was sorely lacking in the games industry: a game that truly, to its very core, was centered entirely around providing players with a game that responded to their actions, allowed players a (hopefully) unprecedented degree of freedom in defining how they play the game, and a game that, above all else, would constantly surprise even veteran players through a variety of interwoven system simulations. That was the beginning of something I’ve actively pursued in whatever time I could scrounge up since then. Eventually, in October 2016 (I had since moved back to my home state of Michigan, in East Lansing), I decided to re-form the company I first started in 2015 in Austin: Joy Machine, LLC. This is going to be a bit of a diversion from what I’m aiming to talk about, but since this is the first time I’ve written an article that wasn’t explicitly for Joy Machine’s website, maybe a bit of background is in order. I’ve been professionally employed every single day since the summer before my final semester of college at the University of Michigan. Where I was finishing my English degree. 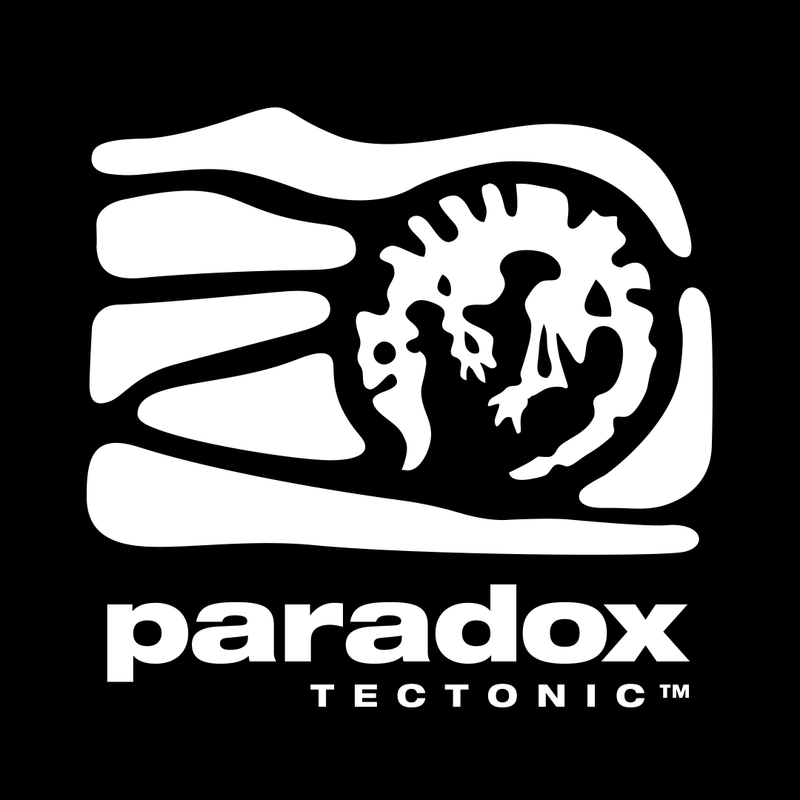 I was working at one of the only game studios in all of Michigan: Stardock Entertainment. I was working as a gameplay, rendering, and engine developer (and the occasional design consultant on some of the games we were publishing at the time, such as: Sins of a Solar Empire and Demigod. My very first game on the market was The Political Machine 2008. And, boy, was that ever a great feeling. The game was far from spectacular, but I had a professional game that people could play. My excitement was endless. After a couple years as a developer, I wasn’t happy with how generally isolated developers were from, well, social interaction (amongst the team). I would come into work at 10–11am and work until the day ended, go home, and often that was without ever doing more than cracking the occasional joke with my coworkers. I wanted to be a game designer. I wanted to be able to take principles and ideas and mechanics that I’ve seen in games and have been dissecting since I was ten-years-old, and apply them to a project I was working on. Finding a job as a designer, when you’re a developer by trade, is… Not trivial. I spent about four months getting turned down from jobs to the point that I was willing to even consider a contract role as a designer on a shoestring-budgeted Spongebob Squarepants game in California. Even got rejected from that one. Then one of the first companies I applied to called me (three months after I had applied) to setup a phone interview. I talked to the Lead Designer of LightBox Interactive, Josh Sutphin, and we pretty instantly hit it off. A week later, I was being flown out to Salt Lake City, Utah in my first flight ever for an in-person interview. I think I threw-up once right before getting into the car they had setup to take me to their studio (which was in the process of being prepped for its move to Austin, Texas). To say I was nervous is a profound understatement. I spent 10am — 4pm in back-to-back interviews with various members of the team. I left the studio afterward, went back to the airport, ran to the first bathroom I could, threw-up again. It took three weeks before I heard back from them (and I believe I was e-mailing once-twice a week to check on the status of my application). And then, while playing Forza Motorsport 2 on my Xbox 360, I got an e-mail containing an offer letter for the role of Game Designer with LightBox Interactive. I would be working on what would eventually become Starhawk. The project took roughly three and a half years to complete (I believe I was the thirteenth employee of what would eventually be a 48 person studio). And, for people who don’t know me very well: I’m a work horse. I will take any task given to me, regardless of how well I knew about what it entailed, and I would work ceaselessly until I not only understood it, but could complete it, and complete it well. The amount of time I would spend doing this was irrelevant to me. It was a challenge for my brain, and there’s never a brain challenge I’ve ever turned down. And while I’d never endorse crunch, every additional hour I worked beyond the standard 40 hour work week, was almost exclusively my decision because I wanted to make the game as good as I possibly could. I think, at one point, I put in an 80–90 hour week. Which, obviously, catches up with you, but at the time I was so enthralled in the challenge of improving everything I was working on (on top of watching every single television series to ever exist while working). Every month, Josh and I (and the studio/game director, Dylan Jobe) would fly out to Sony Santa Monica to do a playtest with the God of War team, which was always completely fascinating. It was about as opposite an experience as I had ever had at Stardock. Starhawk’s launch was not great. We got some pretty solid reviews, but the game just didn’t catch on commercially. After our first DLC launched, the studio laid off a portion of the team. And then once our next project got cancelled, the studio had shrunk to just eight remaining people. Of which I was one. We switched over to a mobile game project, which would eventually become PlunderNauts. But I didn’t stay for the duration of the project. I wasn’t incredibly psyched to work in mobile and felt it was time for a change. That said: this was by far the greatest job with the most wonderful team that I’ve ever been able to experience. I love them all, still. And, of course, Josh is now my best friend and we talk and bounce ideas off each other on a daily basis. 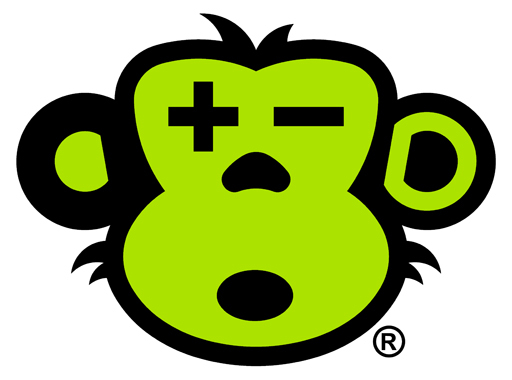 So, I joined a mobile game studio called Team Chaos, a sister company to Chaotic Moon Studios (now Fjord Austin). Over the course of my two-plus years on that team, I worked on roughly thirteen-fourteen different games. Eventually my role changed from Sr. Game Designer to Creative Director, and then I got the role of Executive Producer added on to that. It was a very unique experience for me; now I was doing more of a management role internally and on some of our external projects and doing absolutely no development of any kind. So, I published two games through Team Chaos that I worked on in my spare time: SPACE COLORS and SUPERCHROMA. I adored working on those two games. My absolute favorite project during my time at the studio, though, was working with Rooster Teeth on a game I created and pitched to Rooster Teeth personally: Rooster Teeth vs. Zombiens. Rooster Teeth are some of the finest folks you could ever ask to work with. And directing the VO sessions for the game was an absolute treat for me. Not a whole lot to say about this one other than the project is very interesting and the team is great, but I joined ArtCraft as a contract Visual Effects Artist and Technical Artist working on Crowfall. It was a great project, but ultimately the concept of working a single role was something that no longer really appealed to me. I liked variety. I liked working with every department and coming up with solutions to hard problems. My next job was to pursue something I had originally gone to the University of Michigan for: education (I was going to be an English teacher, games were just going to be a side thing). planet3 was founded by the former president of National Geographic, which I thought was just the coolest thing. At the time, I was working in the satellite office in Austin, but that was shuttered a few months after I joined, and I was asked to relocate to Washington, D.C.. I did not like Washington, D.C., so I ended up moving to East Lansing, Michigan and working remotely up until recently. What started as a Sr. Technical Designer role ended up being the role of Lead Experience Developer; which, in short, meant that I was responsible for the Unity team and ensuring that the gameplay was as strong and as tightly-bound to the educational goals of each mission as it could possibly be. This was my first time in an actual, formalized management position. And it was great. I didn’t get nearly as much day-to-day work done (as I had gotten accustomed to doing), but instead I was able to mentor and facilitate the work done by my team. And that was just a great experience. And now I have a LinkedIn recommendation from the guy that ran National Geographic for a long while. I call that a win. When I decided to get serious about Joy Machine and the project in October 2016, I started laying the framework for the company I wanted to create, the principles and practices that were most important to me, and, most importantly, the things that I would explicitly do differently than the mistakes I had noticed in every studio I had ever worked at. Every studio I ever worked at was so unique and working on such different types of games that I was able to get a wide variety of different company cultures, production practices, budgets, the way budgets were used, team workflows, tools, so on and so forth. Make games that players can be constantly surprised and rewarded by. The more they put into the game, the more the game will reward them. Focus on a systems-first approach to game design — something that most of the games industry simply does not do. And, to be honest, if it wasn’t for friends like Harvey Smith (Dishonored, Deus Ex: Invisible War, Dishonored 2, and generally great guy) who lived in Austin and I got to see from time-to-time, Matthias Worch (most recently Design Director on Mafia 3) — whom I’ve never actually met in person, and the lectures and articles of Clint Hocking and Patrick Redding, I don’t know that I’d ever have thought about systems as a primary focus in game design in the first place. Harvey, especially, would reinforce their importance with me and promote my pursuit of them as a major factor in my design philosophy. Run a studio that employs the best talent that I can possibly convince to join. So far, Joy Machine has nine employees, all of whom are working for deferred payment or have a stake in the company (though anyone who stays with the company through to the launch of our game — Steel Hunters — will also get a small — like 1%, but non-dilutable — ownership stake in the company). And they’re all putting in absolutely incredible work. Also! (And this is the first they’re hearing about it) Basically anyone that stays through at least the Beta milestone (maybe initial launch) who’s on the team will automatically get some company ownership stake that will be exempt from any potential future dilution. Because, without them, this wouldn’t even be possible. Early on, my Chief Operating Officer, Melissa Brown, told me off-handedly: “hire slow, fire fast”. And that was a philosophy I fully embrace. If people aren’t honoring the commitments they’ve made or generally don’t fit the culture very well, they get two warnings: one from Melissa, the next from me, and the next step is termination. This has already happened twice. I’m a complete care-bear, but when it comes to running a team, there are times you need to be hardened and resolved in order to maintain the kind of company culture you want. Allow people to work anywhere they wanted to. Ultimately, we have some sort of “core hours” just to get people all working simultaneously, if only briefly, but everyone brought on to the team is someone that I have completely confidence will work remotely just as hard as they would work on-site. And, given the turbulence of the game industry as a whole, I’m completely unwilling to ask people to relocate (especially to Michigan, where there aren’t really other games jobs around). I figure, this way, I can find the best talent that I possibly can, while still ensuring that people can continue their lives uninterrupted. Maintain as much transparency with our audience as possible. I hope any eventual publishing deal we secure for this game — as I am not exactly Mr. Money-Bags (I’m currently working two separate contract gigs to supplement my ability to stay alive and in an apartment — doesn’t impact this too much, but I believe in forming a community around a game of people who are interested in the game. And then giving everyone in that community details on what kind of stuff we’re doing, how we’re doing it, and showing off screenshots of things that are horribly broken. We just launched our new site about a month ago, so we’re still working on restoring our old “Project Updates” page that included commit messages to git, recently-completed tasks, progress towards the next milestone, and so on. Support our games from launch until we’ve exhausted things to explore for that project. 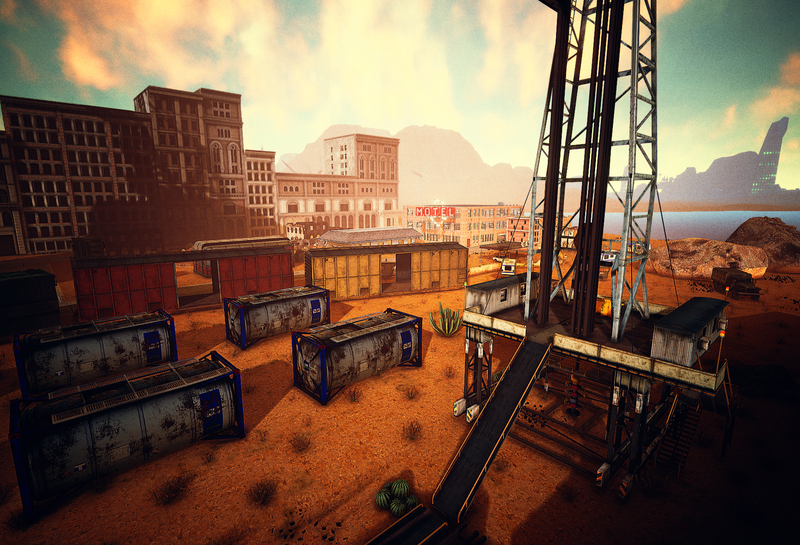 Steel Hunters is not just a game to us: it’s a platform. We plan for it to be a four-five year project by the time we start to wrap it up (which could always change, depending on active players). We want to run constant events, provide new content (free and paid), get community feedback, see how we can best integrate that feedback into the game, and just generally treat it as a living, evolving game experience over a long period of time. Our players are why we’re doing what we’re doing. We want to make sure they know that. The previous sentiment is also why I’ve ruled out crowdsourcing from day one. I don’t want to ask people for money up-front (especially since you can’t really ask for the project’s real budget), and then just have interaction with the community be a thing that’s expected as a result. I want our community building and involvement to be a thing that we do because it’s part of who we are as a company. It’s that simple. Make games that look like they should have 10x the budget that they actually do. We’re not aiming for an indie shoestring budget, because we want to ensure this game is done right, but at the same time: we have a whole array of workflows, production practices, economical systems/mechanics, smart design, and reasonable scope. We can execute on this, and I am more certain of this than I am of most anything else in the world. Work with other people in the field (middleware and platform-holders and Epic). We are constantly in communication with everyone that in any way, shape, or form is involved in our game. I routinely talk to just about every middleware vendor we’re working with to see how best to take advantage of their offerings, promote them whenever I can, and just generally hold a good relationship. The “Joy Engine”. At the end of the day, we’re using Unreal Engine 4. Plain and simple. But I made the decision early on that I wanted to make sure that our custom fork of the engine was as heavily-customized to suit the needs of our game (which is incredibly dynamic, relies on procedural generation, has some unique workflows, etc.) as possible. Plus, I’m kind of a tech nerd, so I just enjoy tinkering with a major codebase and seeing how I can modify it to best suit our needs. But if you take a look at our Joy Engine page, you’ll see that a lot of our tech (though not all) that we’ve put into our engine version is middleware or tech from another vendor that we’ve integrated ourselves. I see absolutely no reason whatsoever to come up with my own implementation of something when I can just e-mail (say, NVIDIA) and just ask straight-up “Hey, you guys have this tech, is there any way we can get our hands on it?”. At no point have they not cooperated with us and, as a result, we do everything we can to make their implementations of tech (which are much better than what I could do, especially with my typical workload) look as good as we can possibly achieve. And, in one case, I’m actually working for one of our vendors right now part-time to make some dollars. So, hey, that’s all neat. It’s hard for me to really wrap my head around the fact that, ultimately, the “buck stops” with me here. I’m not the CEO type. I’m the work-horse that makes sure that everything that I am capable of doing gets done. But, so far anyway, it seems to be something that I’m kind of naturally becoming accustomed to. It has not ceased to be weird, but it’s just not something I think about all that much. I make decisions when I have to, but generally defer to my teammates because — and so many companies do not do this, which blows my mind — I hired them because they’re the best at what they do. I have no reason not to listen to them on things I know nothing about. There are always situations where I will say “I know this may not pan out, but I want you to see this task through despite your concerns with it, because I think it could be huge if it works out”, but generally I only provide direction when it’s absolutely necessary. Note: I really wouldn’t mind making typical CEO money-dollars, though. It’d make my life so much easier. For all of us at Joy Machine, we’re experimenting ways to continually expand our presence. We’re going to try to start doing a biweekly podcast about our game and just the game industry in general and see if that catches on. We maintain an active-ish Discord server for anyone that wants to join our growing community. And we’re constantly just trying to find and hone our voice as a company. And I’m trying to get my social media manager to stop yelling at me for messing with our company social media accounts. Our first major milestone is coming up: the “Announcement” trailer for the game. As if I haven’t publicly talked enough about it already. But, it’ll be the first time that potential players will actually be able to see the game in motion and actual gameplay (we’re not faking anything for the trailer). Shortly thereafter, we have a publisher demo we’re going to send around to folks (because we need a publisher, because I definitely do not have money to pay rent next month right now, much less pay my team what they deserve). So, we’re basically working furiously towards that goal. Fun fact (and good lesson): Never be afraid to start up conversations to solicit help from people. I happened to just send an @ message to one of my favorite bands (The Felix Culpa, you likely are not familiar with them) on Twitter earlier this week about using one of their tracks for our upcoming trailer. I had absolutely no notion that it’d work, but it seemed worth a whole ten seconds of my time. Well, turns out they’re gamers and have wanted a great one-four player co-op game like the one we’re making for a long time, so he talked to his band-mates, got approvals elsewhere, and sent me a master track for a song that they all felt would best fit the tone we have in our screenshots. And that’s so stupidly cool to me. Beyond that, who can really say? I don’t think I’ve ever had a more well-defined and detailed game design in my head as I have for Steel Hunters. And, sure, it may look like “just” an action/adventure/third-person shooter, but I promise that once we start showing more video clips of some of the ways that missions can unfold that the illusion that this game is anything but completely unique will be dispelled. Recently, I was able to find a happy medium between temporal antialiasing blurriness and sharpness. This was my success.